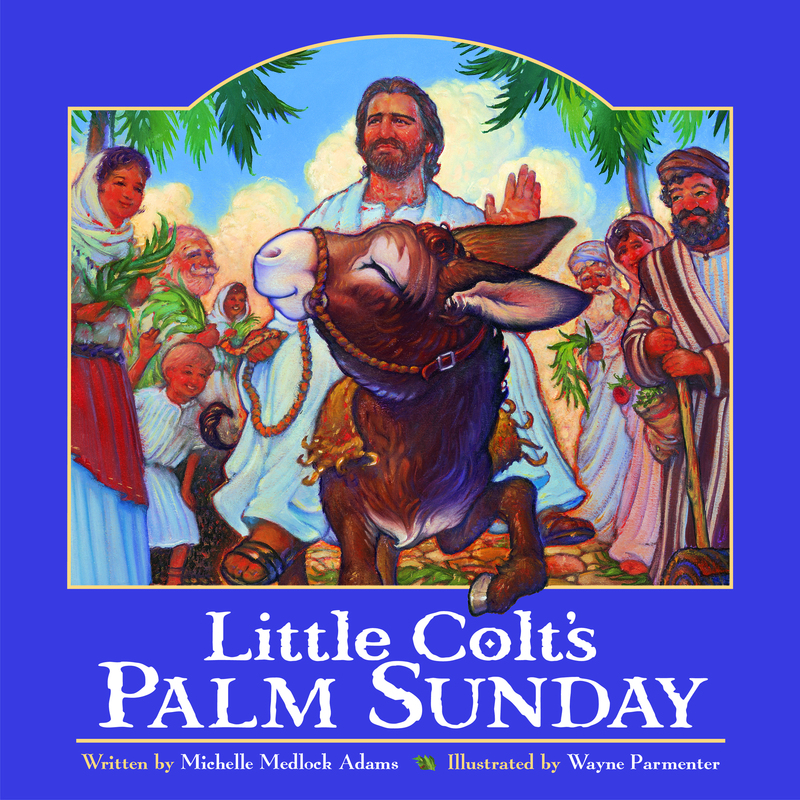 Little Colt’s Palm Sunday is a gentle retelling of Jesus’ entrance into Jerusalem on a young donkey, who had never been ridden before and was recruited along with his mother from a nearby town by Jesus and his disciples. The book, beautifully illustrated and written in rhyming stanzas, is especially appropriate for children ages 4-8 and represents an engaging way to help familiarize them with Palm Sunday. Little Colt’s story begins with his Mama telling him a bedtime tale about how his great-great-grandpa once carried Mary and her unborn baby Jesus to Bethlehem. Little Colt responds by saying how much he’d like to meet this man who would grow to do great things, including “rais[ing] men from the dead,” and Mama wonders if he may. The palms felt soft beneath his hooves. Much softer than the road. “These branches feel quite cool,” thought Colt. Little Colt’s Palm Sunday doesn’t look ahead to the very different days that followed later in the week, the integral events in Christ’s life and ministry which we commemorate on Good Friday and Easter Sunday. The book simply mentions that the Little Colt’s job is complete, while Jesus’ mission is still calling to him. Parents may want to take the opportunity after reading to point in an age appropriate way to the reason Jesus came to Jerusalem. But Little Colt’s Palm Sunday is to be recommended for its accessible and kindhearted focus on these moments when Jesus is honored, and when he in turn honors a humble young donkey.